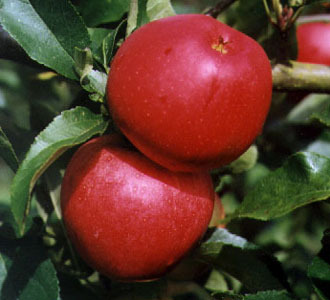 A recent introduction with very heavy yields of attractive fruits which have a lovely scarlet skin colouring. The fruits are of similar quality and flavour to Gala. For eating October to January.